Best eyebrow henna for tinting. Rich color palette of 12 universal shades. Lasts up to 6 weeks on hairs and up to 14 days on the skin. 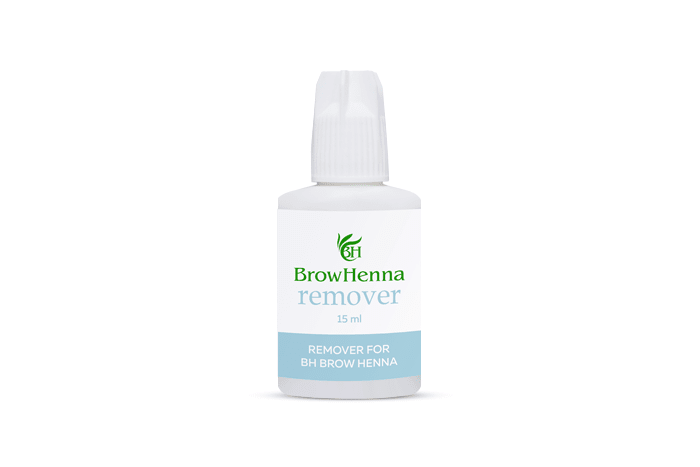 Brow Henna is a bestseller in persistent eyebrow staining. 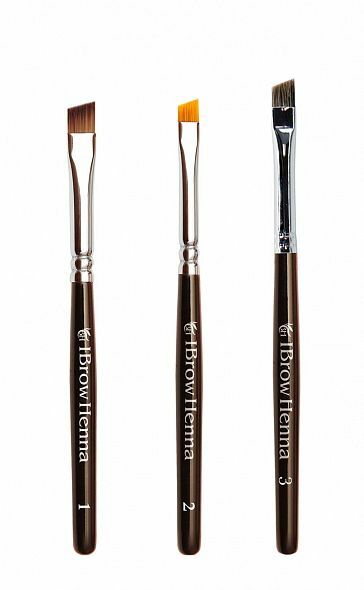 Brown Brow Henna set is an ideal choice for light-blond and dark-blond beauties, hot brunettes and languishing brown-haired women. Thanks to the minimal usage of henna, one set is enough for 280-300 procedures. 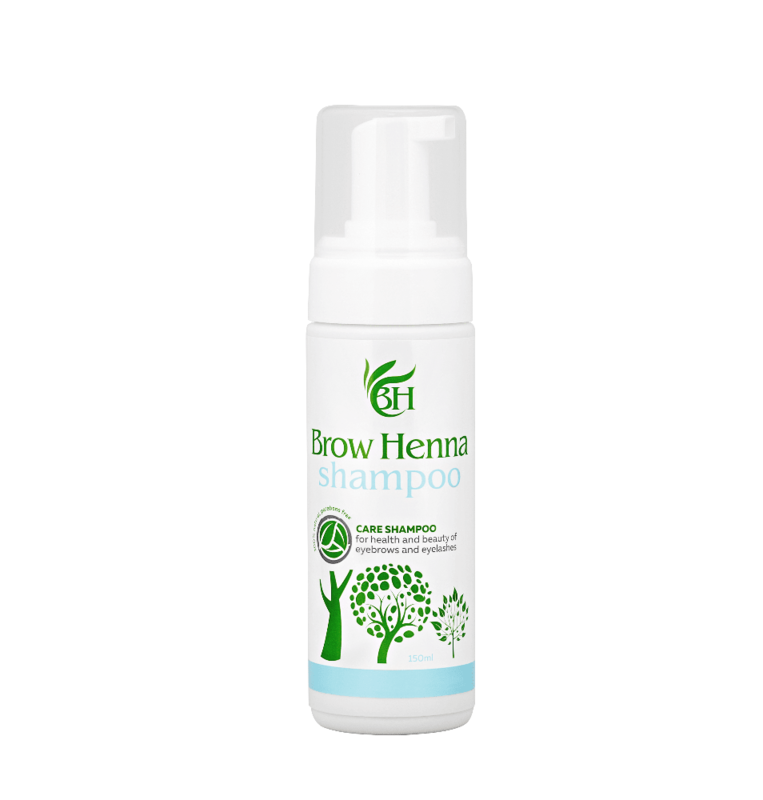 Blond Brow Henna set is specially designed for light-blond girls and blondes. In-Demand set includes Brown and Blond most used colors plus Graphite and Amber essences to get more expressive shades. Both essences can be mixed with other colors or used purely for strong tint. Thanks to the minimal usage of henna, this set is enough for 750-800 procedures. Brow Henna Full set includes all Brown and Blond colors. Best choice for professionals who want to bring their clients a complete full of shades eyebrow palette. Thanks to the minimal usage of henna, this set is enough for 1130-1200 procedures. 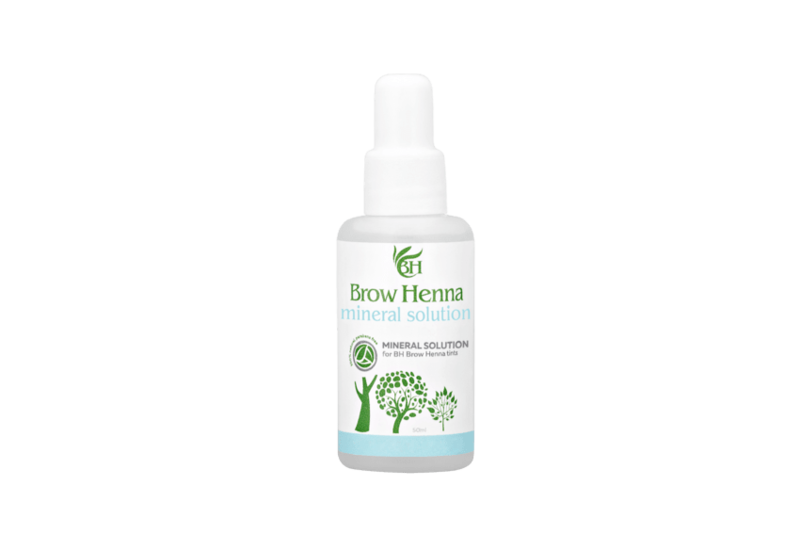 Brow Henna is a bestseller for eyebrow coloring. It is a premium product made of high quality ingredients. 100% no animal ingredients inside, so it is allowed during a vegan diet. It not only gives the eyebrows stunning volume and expressive color, but also helps restore weak and damaged hairs. Brow Henna's rich color palette features 12 universal shades that can be used either individually or combined with each other. 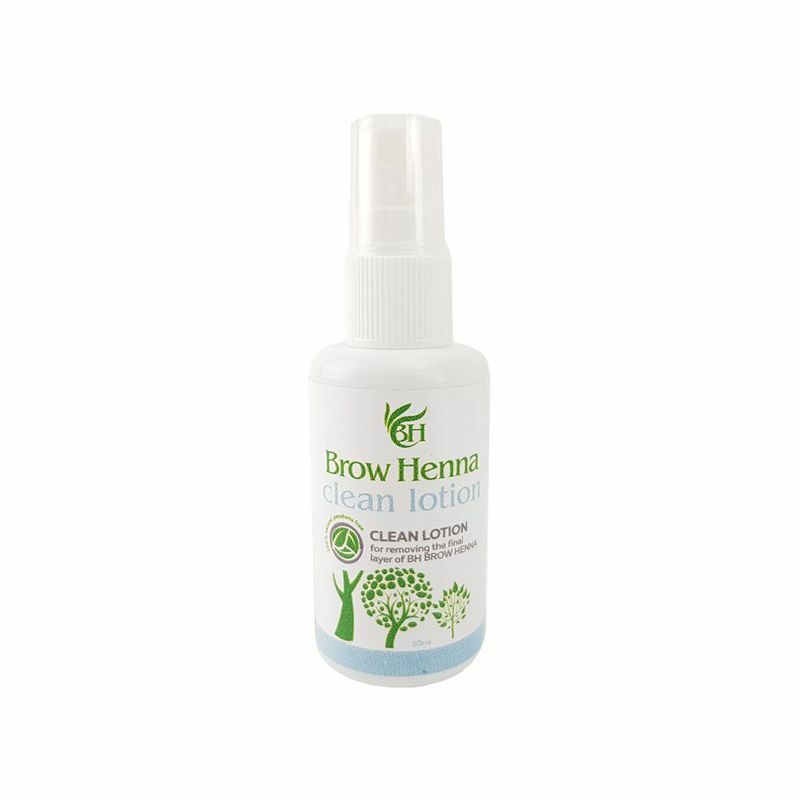 The phenomenal fortitude of the product's ingredients allows the henna to stay on hairs for up to six weeks. Lasts up to 14 days on the skin depending on its type and proper care after procedure. 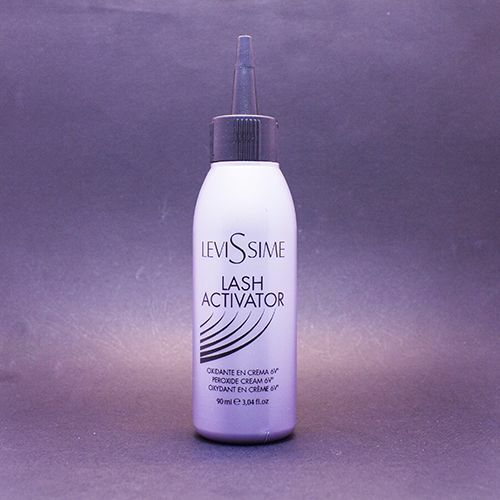 Levissime Lash & Brow Dye. 4 colors plus activator for quick procedure. No allergic reactions on the skin. Bring your abilities on the highest level. henna eyebrows at your salon? 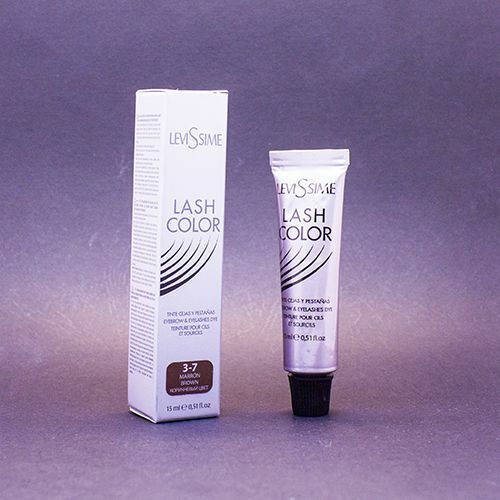 Choose the best way to start offering Brow Henna and Levissime Dye. 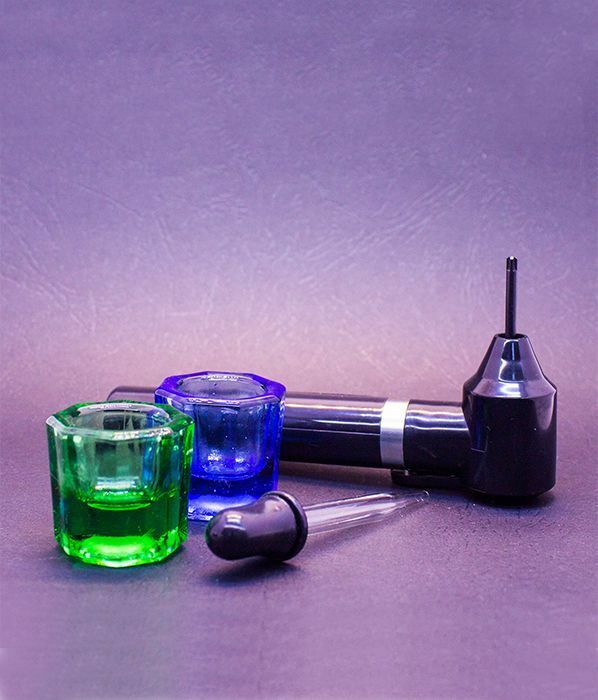 We combined all required products in our starter kits to offer you the best options for starting the eyebrow services. What's the difference between Brow Henna and Eyebrow dye? Which one to choose for your clients? we'll pack and send it within 3 business days. Each order has a unique tracking number. You will be able to track its recent location. All parcels are sent from our warehouse in Eastern Europe (Ukraine). Orders sent to the United States first arrive at JFK International Airport and then are sent to your location via USPS. Below, you can find the indicative shipping time for your country / state. By 'days' we imply business days considering work schedule of local post services may differ. Within the framework of the Universal Postal Union, which includes 192 postal operators, postal conventions do not provide fixed deadlines for forwarding. The given terms must be used as indicative. The national mail offices in the world are making every effort to deliver mail as quickly as possible. Services are provided within the framework of the Order and terms of service for the forwarding of international postal items. Shipping Warranty. If you do not receive your order 60 days after sending it, we will send you another parcel or fully refund your payment (at your preference). We are proud of our top clients who are successful beauty salons in various places worldwide. Shampoo foam before henna dyeing. Takes away dried layers of henna. Mineral water for henna mixing. Remover helps to correct tinting mistakes. Set of 3 BH angled brushes. Our course in currently under development. Submit your email now to get a 50% off for Browartist video course. Once it is available, you will be notified via email. Thanks! Your email successfully submited. Feel free to write us. We really love to communicate with our clients. Copyright © 2019 make4me.com.ua. All rights reserved. This website is operated by Make4me. Throughout the site, the terms “we”, “us” and “our” refer to Make4me. Make4me offers this website, including all information, tools and services available from this site to you, the user, conditioned upon your acceptance of all terms, conditions, policies and notices stated here. In no case shall Make4me, our directors, officers, employees, affiliates, agents, contractors, interns, suppliers, service providers or licensors be liable for any injury, loss, claim, or any direct, indirect, incidental, punitive, special, or consequential damages of any kind, including, without limitation lost profits, lost revenue, lost savings, loss of data, replacement costs, or any similar damages, whether based in contract, tort (including negligence), strict liability or otherwise, arising from your use of any of the service or any products procured using the service, or for any other claim related in any way to your use of the service or any product, including, but not limited to, any errors or omissions in any content, or any loss or damage of any kind incurred as a result of the use of the service or any content (or product) posted, transmitted, or otherwise made available via the service, even if advised of their possibility. Because some states or jurisdictions do not allow the exclusion or the limitation of liability for consequential or incidental damages, in such states or jurisdictions, our liability shall be limited to the maximum extent permitted by law. You agree to indemnify, defend and hold harmless Make4me and our parent, subsidiaries, affiliates, partners, officers, directors, agents, contractors, licensors, service providers, subcontractors, suppliers, interns and employees, harmless from any claim or demand, including reasonable attorneys’ fees, made by any third-party due to or arising out of your breach of these Terms of Service or the documents they incorporate by reference, or your violation of any law or the rights of a third-party. If you would like to: access, correct, amend or delete any personal information we have about you, register a complaint, or simply want more information contact our Privacy Compliance Officer by the contact form on our website. To cancel an order you have placed with Make4me, you must contact customer support by contact form within 24 hours after your order has been submitted. Every effort will be made to accommodate the cancellation of your order as long as it has not yet shipped. When contacting customer support to cancel an order, please be ready to provide your name, the order number, and your contact information. Please note that if the item has shipped, the order cannot be canceled. Considering that cosmetic products can be classified as non-returnable products, there will be no refunds for successfully delivered orders. The reason for refund may be a damaged parcel with your order and/or defective items inside. In this case your order will be fully compensated by your postal service which is 100% responsible for shipping process after your parcel has been sent. All cosmetic products sold by Make4me is sold as-­is. By making a purchase with Make4me, you are confirming that you have read and understand our no refunds policy. Every product you buy from Make4me comes with a 30 days limited warranty. The warranty applies to products that have been confirmed as defective by Make4me, which may be repaired or replaced (at our sole discretion). For assistance or to exchange a defective product, please contact customer support by email order@make4me.com.ua. If 30 days have gone by since your purchase, unfortunately we can’t offer you an exchange. If you did not receive your parcel during 60 days after dispatch, we will initiate postal investigation upon your request. To do so, you need to contact us with your order number or simply reply on email with order invoice. If the investigation reveals your parcel as lost, we can send you another parcel or fully refund your payment (at your preference). Please note, postal investigation cannot be requested earlier than 30 days after dispatch date. Investigation may take more than 14 days until your package will be found or defined as lost. You will be notified about investigation result once complete. Our goal is to offer you the best shipping options, if you order from the United States, Canada, United Kingdom, Australia, Europe and more. Every day, we deliver to our customers across these countries, ensuring that we provide the very highest levels of responsiveness to you at all times. We ship to most countries worldwide. However, some countries may have restrictions. Processing time: Order verification, tailoring, quality check and packaging. All orders paid with Credit Card payment method are sent to the manufacturer for dispatch within 24 hours after the order is placed. The manufacturer and Regular Post process the orders, which takes an additional 2–4 days. Shipping time: This refers to the time it takes for items to be shipped from our Ukrainian Post office to the destination. After processing and leaving the warehouse, items usually take between 7 and 21 days to arrive at their destination. Rarely it may take longer due to overloading at customs. Tracking: After your order has been sent you will receive an email with tracking number of your parcel. Any package that we send has its own unique tracking code that is generated by Regular Post service. You can track your parcel on the official Ukrainian Post website. Please note, tracking information may take 3-5 days before update, this means that your parcel has probably passed the latest location shown in tracking info. Sometimes, tracking information may stuck at some point. Please, don't worry! It does not mean that your parcel isn't moving anywhere. It is still in transit and you will receive it. Shipping warranty: If you did not receive your parcel during 30 days after dispatch, we will initiate postal investigation upon your request.